My daughter likes for me to fix her an over-easy egg and some bacon for breakfast on the weekend, so todays breakfast was rather special. 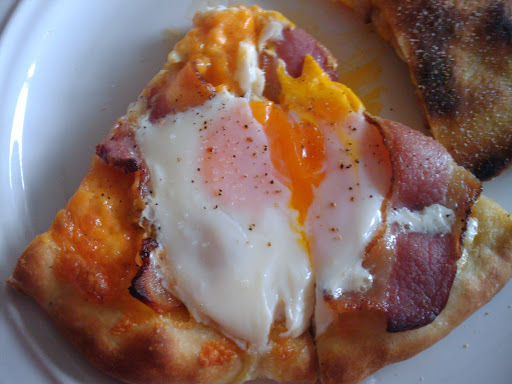 I fix homemade breakfast pizza, with olive oil,Cheddar cheese,Bacon and two eggs, all on a crust made from homemade dough that has been resting for the last 24 hours. A few extra photos from breakfast.